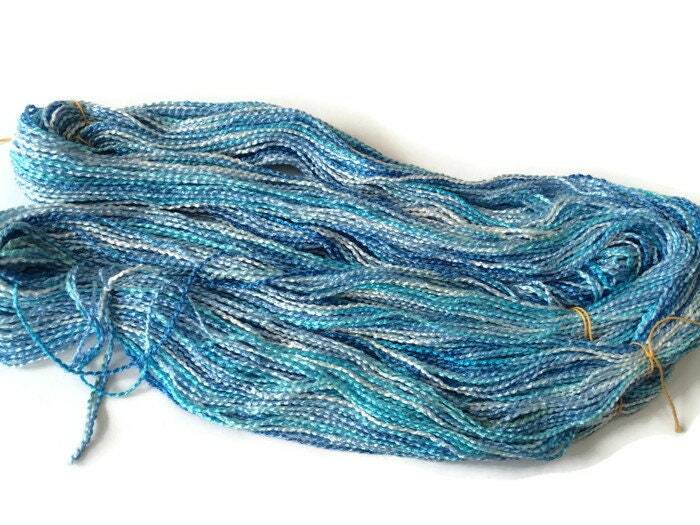 Hand-dyed rayon krinkle yarn. 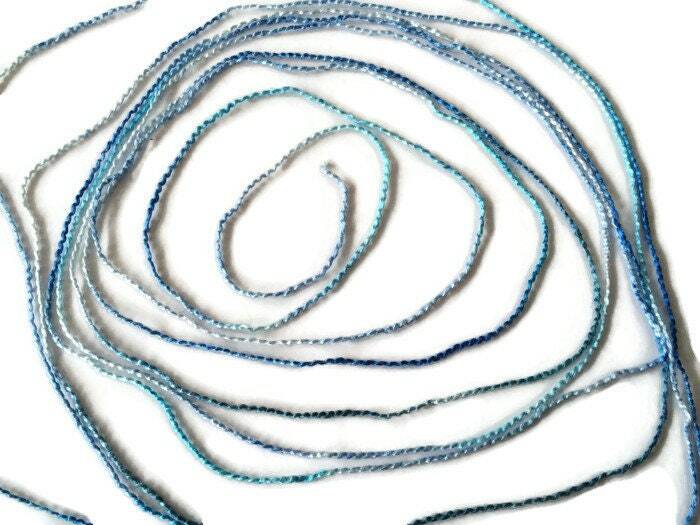 Colors range from a medium blue, an aqua blue, a light blue, and a very pale blue, with small bits of white. 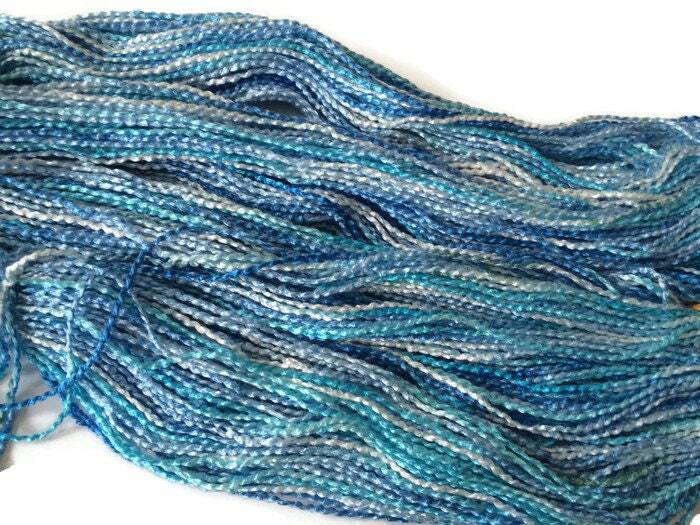 Yarn has a very nice feel to it and has some shine. 14 wraps per inch. DK. 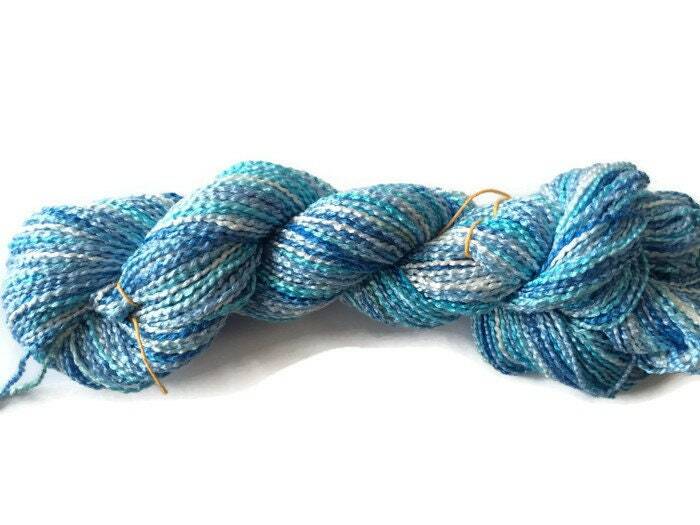 Each skien is 200 yards and weighs 3.3 ounces. 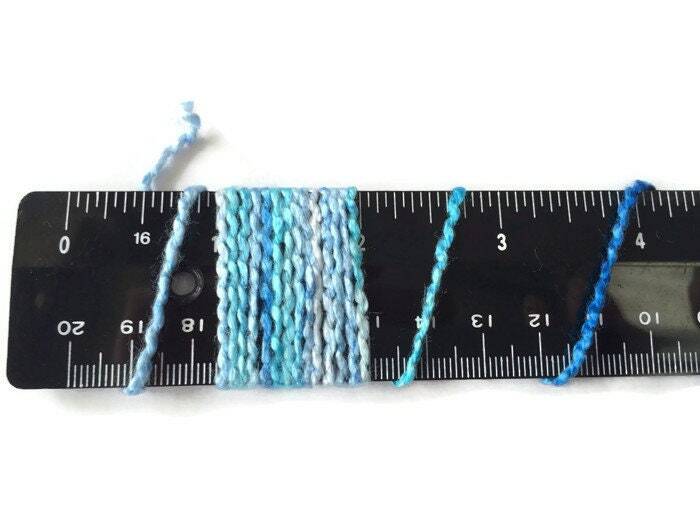 Mini-skeins are 20 yards. Hand wash, cool. Dry flat.